Nestled at the base of the Valley’s most iconic natural landmark, Camelback Mountain, The Village at Mountain Shadows is situated in the heart of Paradise Valley. This exclusive guard gated “lock and leave” resort style community is comprised of 40 residences, and is within walking distance of two magnificent hiking trails, landmark restaurants and resorts. Scottsdale’s best shopping, golf, art galleries, and other local amenities including Phoenix’s Sky Harbor Airport are all within close proximity. 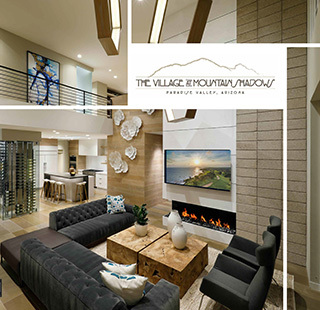 The Village at Mountain Shadows is being built exclusively by Cullum Homes and designed by the renowned architectural firm Candelaria Design Associates. Five incredibly creative one and two story floor plans have been carefully crafted to showcase breathtaking views of Camelback Mountain. 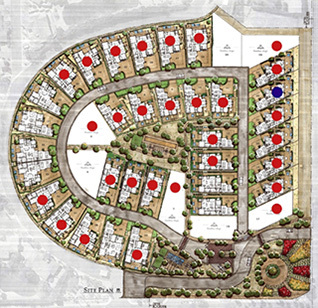 In addition, seven of the forty lots are available for a custom home design. All home sites will offer an abundance of luxurious and innovative design features as well as the option of adding a “daylight” basement. This flexibility allows homeowners the ability to add a game room, wine cellar, children’s play area, additional bedrooms, home gym, or extra storage. 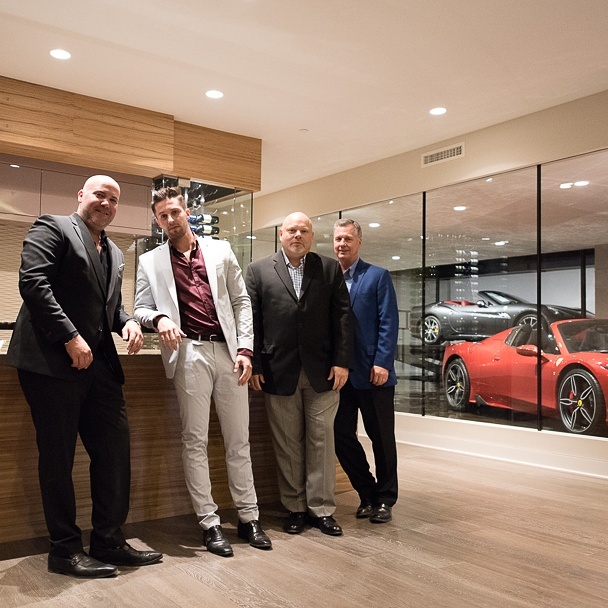 Car enthusiasts will love the “car bar” option which will allow them to display favorite automobiles from their collection on a platform that lowers into the basement and comes to rest behind glass walls. Over the years Paradise Valley’s incomparable lifestyle and location have played host to countless notable residents and visitors. Now it is your opportunity to downsize, upsize, or “rightsize” into this incredible community. As the home of the beloved Mountain Shadows Resort for decades, you can become a part of Paradise Valley’s history by taking part in the rebirth of Mountain Shadows,while also living in a community with views, amenities and convenience like no other in Scottsdale/Phoenix area. 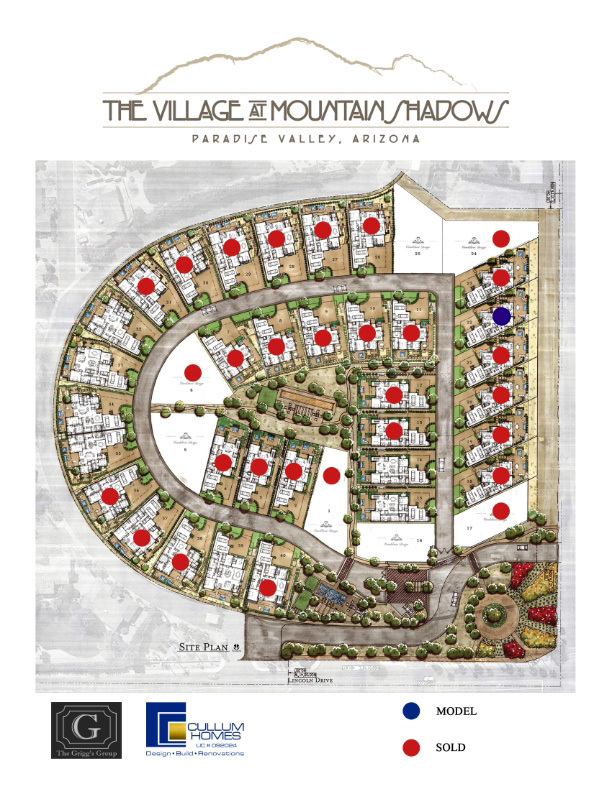 We invite you to take advantage of this rare opportunity to live in Paradise Valley’s premier resort setting, the Village at Mountain Shadows. *Note: Availability, prices, products and specifications are subject to change without notice. 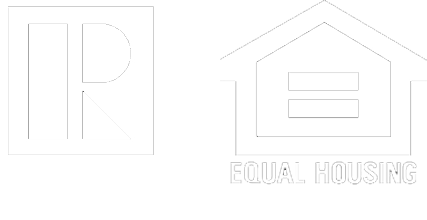 All square footages are estimates. Room dimensions are approximate and may vary. Photos and illustrations are representative of designs and are not necessarily the same as the floor plan, final product or community.